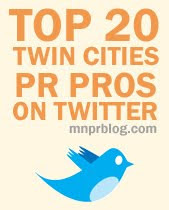 Every year, America’s Coolest Small Town* — Ely, Minn. — turns to marketing to rev up tourism bookings for summer. More than 700,000 people venture to Ely each year — to experience the great outdoors, like fishing, camping and canoeing in the summer; and snowshoeing, snowmobiling, winter camping and dog sledding in the winter. So, to get people talking about and booking vacations in Ely— and to kick off the year’s marketing campaign, the small Northern Minnesota town is launching its fourth April Fool’s Day hoax. 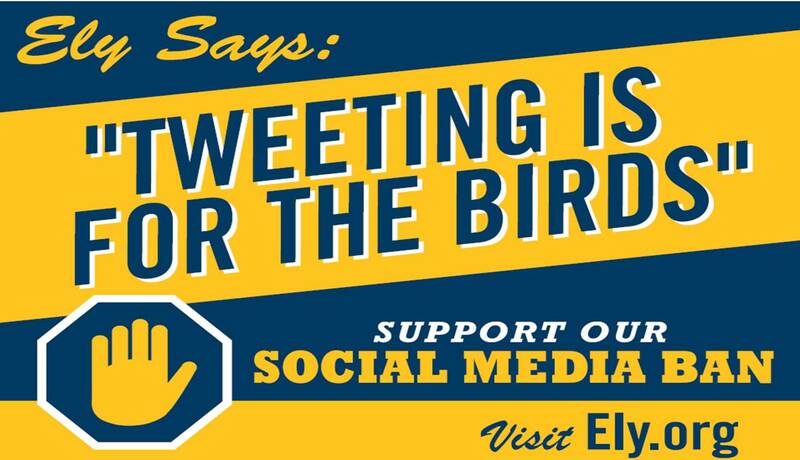 This year, on April 1, Ely is announcing a ban on all social media within its borders. PR, lawn signs, guerrilla street theater and a series of radio spots (attached at the end of this email) will launch in the Twin Cities (and Des Moines, Ia.) on April 1 to spread the word. Today, the Northern Minnesota town at the end of the road, Ely, Minnesota, has cut off access to social media within its borders. 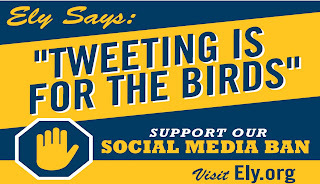 Ely city officials made the decision to ban social media in all its forms — including Friendster, MySpace and Google+ — to encourage visitors to look up from their handheld screens and enjoy the real outdoors. Unnamed local officials hint the ban may be extended to all electronic devices in and around Ely — the gateway to the Boundary Waters Canoe Area Wilderness (BWCAW). The area boasts pristine wilderness, crystal clear lakes and small-town charms that one must see to believe, and not just in a YouTube video. Tweeters, posters, pinners, fans and hashtaggers have responded to the news swiftly, posting their reactions to the measure on the internet. However, no one in Ely is countering — or frankly, even cares. “We’ve got a million acres of exclusive content, and hundreds of sites you can visit — in person,” adds Petersen. Sales of ink pens and real paper tablets have reportedly spiked in area stores. Some of the best stories from years past. include the year Canada annexed Ely, that time Ely bid on the 2016 Olympic Games, and when International Dairy Queen bought the naming rights to the Boundary Waters Canoe Area Wilderness, changing it to the IDQBWCAW.